Poured from a 22 oz bomber into a tulip glass. The color is a dark honey-golden, with a nearly white foamy head. 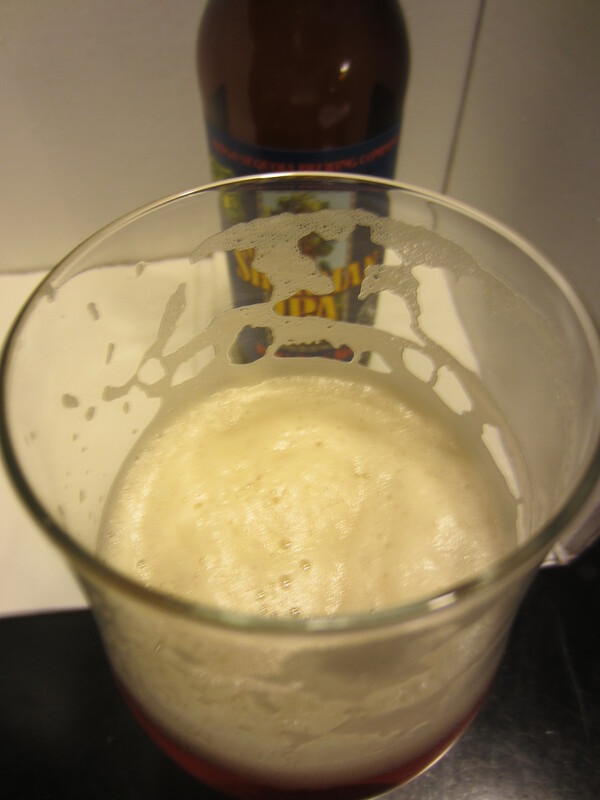 Ample carbonation is visible, and heavy lacing is left on the glass. Grapefruit citrus and light piney hops, as well as faint malt sweetness. Medium to medium-thin bodied, going down easy with some moderate carbonation and minimal hop bitterness. The flavors are light for the style; grapefruit and citrus hops. 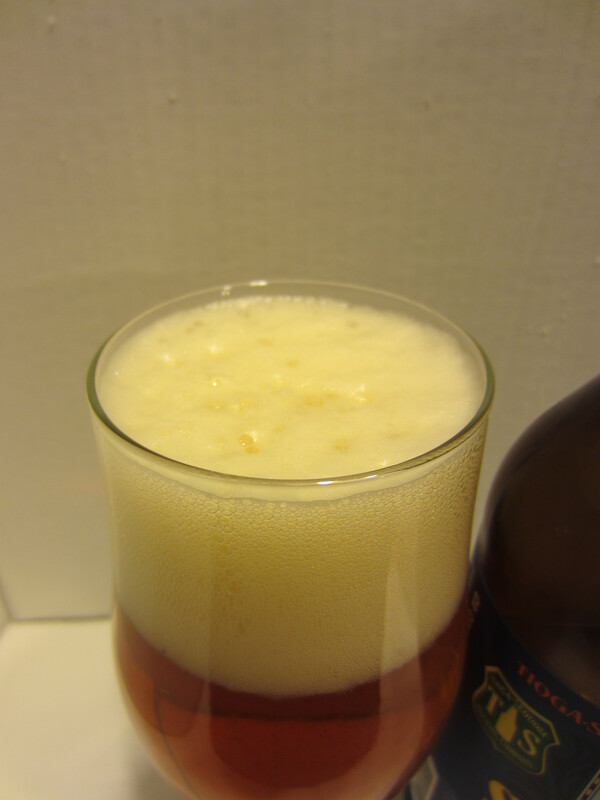 They then blend with some salty, slightly sweet/biscuity malt flavors in the aftertaste. 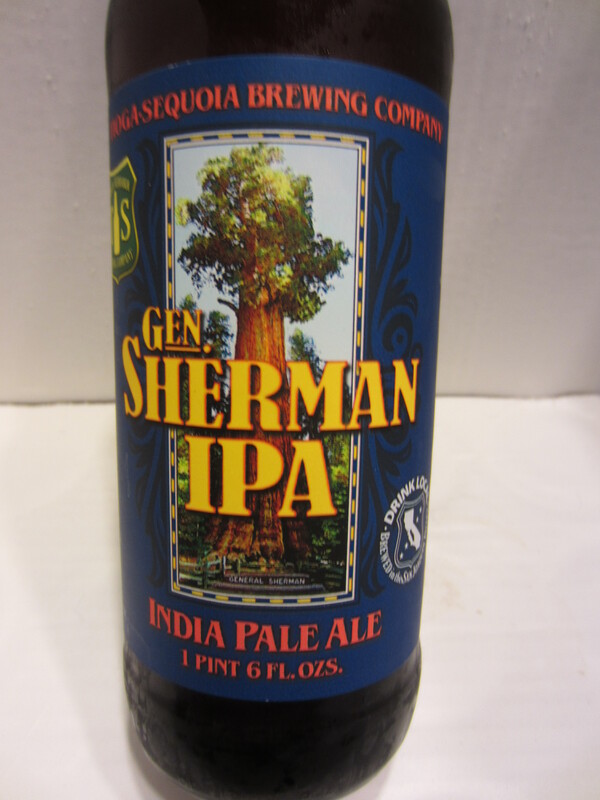 General Sherman surprised me with its very soft and easy drinkabilty. 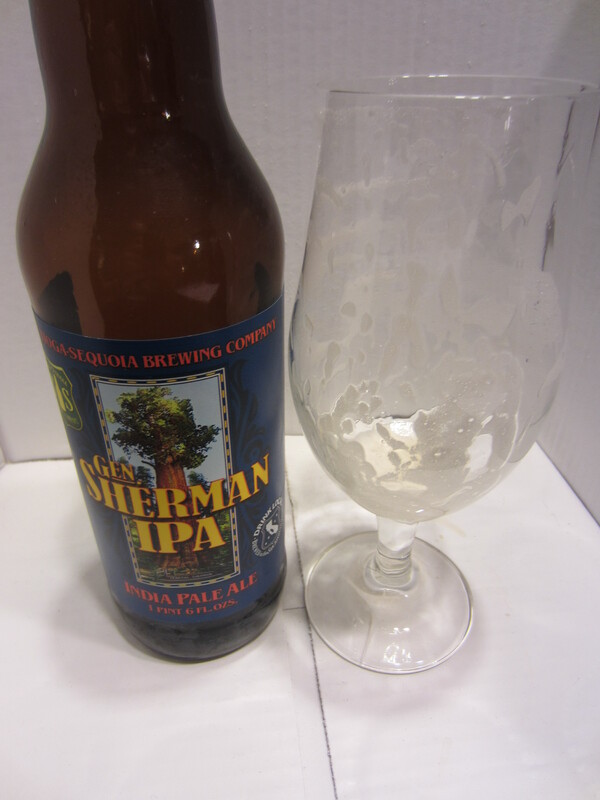 Its aroma suggests a typical strong IPA hop profile, but the bitterness level in the mouth is minimal. I actually get a pretty close to even amount of hops and malts in the aftertaste, which leaves a pretty good lingering impression on the palate (even if it is a little tame for the style). 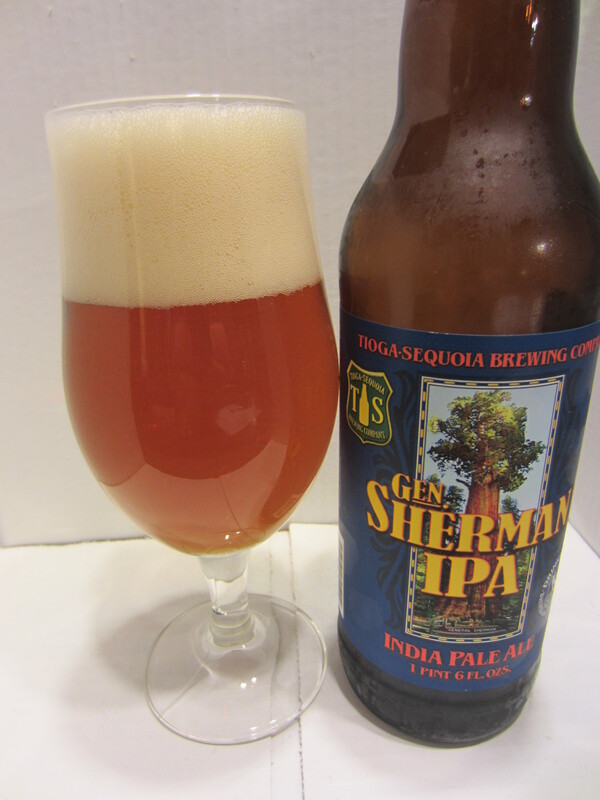 I would say this is a perfect starter IPA, because it doesn’t have the huge hop punch normal for big IPA’s. It doesn’t sacrifice too much in the way of flavor to do so, just offering more malts in place of hops. 7.5/10.